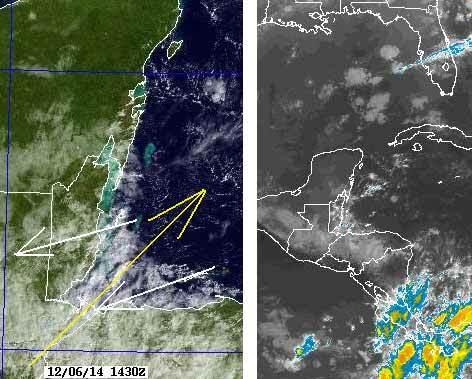 Belize NMS: Northeasterly airflow will become a bit more moist and unstable today. 24-hour forecast: Mostly cloudy today with some showers over most areas along with the chance of an isolated thunderstorm, decreasing tonight. However, a few showers will affect mainly the coast. Today: Winds: N/NE 5-15 kt. ; seas: Choppy. ; waves: 2-4.; some showers and chance of an isolated thunderstorm. Tomorrow: Winds: N/NE 5-15 kt. ; seas: Choppy. ; waves: 2-4 ft.; a few showers. Marine Outlook: Winds: N/NE 5-15 kt. ; seas: Choppy. ; waves: 2-4 ft.; a few showers. 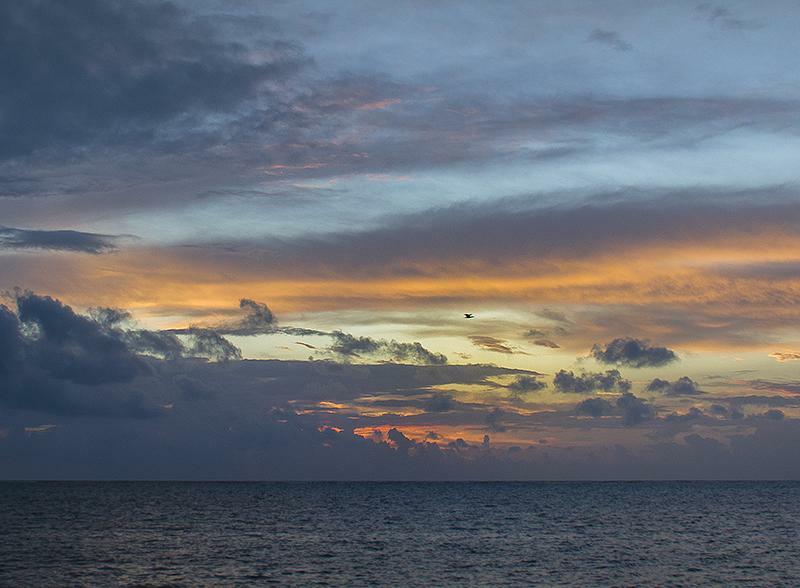 General Outlook: (Sun and Sun night) Partly cloudy with a few showers mainly over the coast. On Ambergris Caye this morning it's a cool 77f. with the breeze from the North at 6 mph. The expected high is 81 and the sea is calm. There is no significant surface wind this morning, but the Caribbean winds are crossing Belize from the ENE with cloud at present, but that is thinning with nearly clear skies behind, presumably white puffy clouds will be here by about midday, possibly clearing more in the north earlier. . .. .The strong SW winds from the Pacific are higher and thinner, so will have little effect on Belize today. I expect the present overcast to get thin and patchy by a bout midday and then reasonable sun. . . I am not expecting rain from this lot, but there could be the odd shower. The main winds right now are the strong Caribbean winds coming down from the NE over Cuba. ..There is only little trace of the high SW winds. . .. .So at present it is looking as if there will be less cloud and more sun on Sunday than there was on Saturday.